In November of 1999, Eric Brown of Pontotoc pleaded guilty to the murder of a woman he had been in a relationship with. The woman was pregnant at the time, and Brown was sentenced to life in prison plus 20 years for the death and manslaughter of Shorelonda Moore and her unborn child. Brown was in a relationship with another woman at the time of his relationship with Moore, and had children with both. He married the other woman, who was not named in news reports. A few days later, Brown reportedly strangled Moore behind a Pontotoc restaurant. According to a news article at the Daily Journal, Brown and his wife drove the victim’s vehicle to Memphis where they proceeded to douse it with gas and set it on fire after parking it in an alley. Moore’s body was discovered the next day. Brown appealed his murder conviction, which was recently upheld by the Mississippi Court of Appeals. The defendant argued upon appealing his conviction and sentence that due to the fact the Circuit Court did not conduct a competency hearing prior to accepting his guilty plea, his fundamental rights were violated. The appeals court did not agree, and upheld Brown’s conviction and life sentence on Tuesday, August 11. Whether an individual is wrongly convicted of a crime he/she did not commit, or sentenced in a way that is unfair due to human bias or procedural error, mistakes are made in the criminal justice system, and individuals’ constitutional rights violated. In many cases, ineffective counsel (poor performance by the defense attorney) may result in an individual being found guilty of a crime. The fact is, legal errors or mistakes made by judges, attorneys, or even jurors can result in an innocent individual facing time (or even life) behind bars. Being convicted of a crime is not necessarily the end of the road. There are post-conviction options that may be available in certain situations, such as filing a motion for a new trial or Ginther Hearing, appealing a sentence, and more. However, it is critical to be aware that the appeals process is highly complex, and appeals court judges rarely overturn a murder conviction, although it does happen. 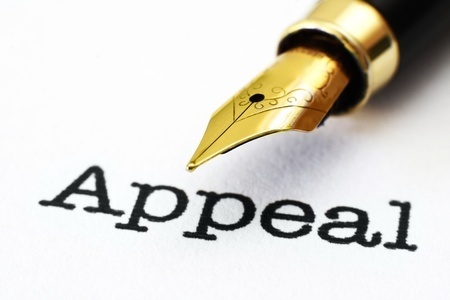 Most importantly, anyone who is considering an appeal must work with an experienced Michigan criminal appeals attorney with a proven track record for success in the appeals process.